It’s cheap. It’s easy. It’s available on every corner ( at least here in Greece). It’s the Greek version of fast food. And it also happens to be my most favourite food. 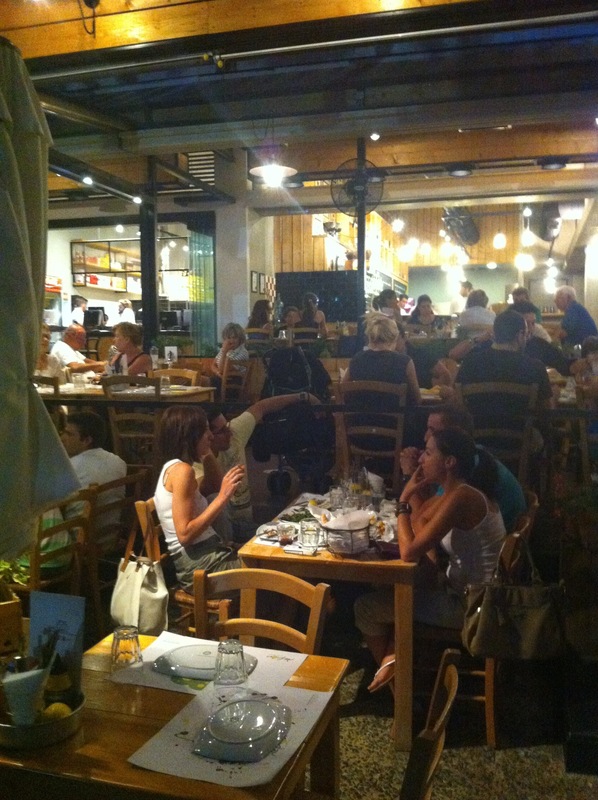 Last week, I had been in Greece for 4 days, and eaten souvlaki on 3 of those days! 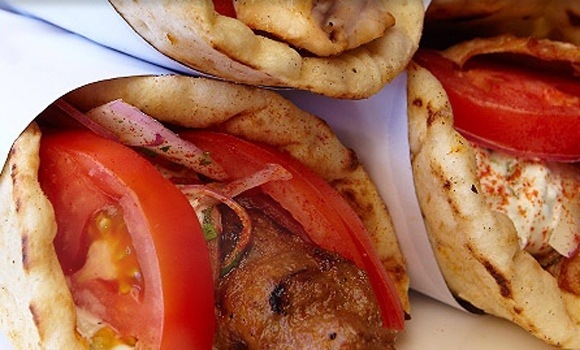 If you were to ask me: what would you eat at any time, in any place, at any hour, the answer is souvlaki! And it’s not just me. Anyone who comes back from Greece raves about this food. What they call it, can vary. The Brits tend to call it gyros. Here in Greece they call it “tylichto” (meaning wrapped). But the enthusiasm regarding this food is a given. So, what’s the big deal? I hear you ask. There’s the lovely fluffy pitta, that is slightly browned. Usually covered in oil and slightly salted, this tastes awesome even on its own. You can have a choice of meat in your souvlaki. It can be barbecued chicken, or pork. It can be gyros. Gyros is the Greek version of doner. Unlike the middle eastern version, it is made of pork and seasoned simply and beautifully, with salt, pepper and sometimes a bit of paprika. You can also get a shish type kebab. This is usually spiced in a slightly more eastern way, often containing a little cumin. The first tomato I tasted on a trip to the Greek islands the year I was pregnant (and slightly more emotional as you might appreciate), literally brought tears to my eyes. These tomatoes are red, huge, juicy, fleshy and sweet! The onions in souvlaki are small, thinly cut, and quite sweet, bringing a little bit of an edge to the taste experience. This one’s a bit old fashioned. Souvlaki makers don’t often use it anymore. But when included, it adds a certain freshness. Depending on how spicy you want your souvlaki to be, you can use one of these two. At souvlaki restaurants, the pepper shaker is filled with neither white, nor black contents. It contains one of these two red substances! Last but not least this legendary ingredient makes all the difference. It is a Greek concoction made up of yogurt, garlic, cucumber, salt and oil. It is scrumptious and gives the souvlaki a cool edge and some extra garlic goodness! So voila! There it is! All wrapped up in the pitta, held together with a pice of shiny paper, and ready to bite into! Nutritious too, it contains protein in the meat, carbs in the pitta, and fibre and vitamins in the tomatoes, onions and tzatziki. A bit on the calorific side though, as just one, would add a whooping 350-500 calories to your daily intake. When you’ve tasted the combo of flavours, however, I’m quite sure you will agree, it is well worth it!